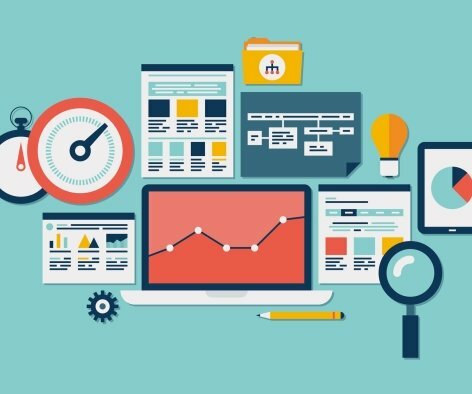 It’s easier now than ever to build your own website, so should you? If you’re in need of a new website, but aren’t sure whether to build it yourself or pay a pro, this blog post is gonna help you right out. So which is better? Hiring a web designer or using a do-it-yourself website builder? I’m impulsive, impatient and opportunistic so DIY website building suits me just perfectly. This is especially important if you’re not totally sure of your business idea and just want to get something simple online so you can start testing it out. Or you want to keep the costs low so you can invest your money on other things for your launch, like advertising. If every idea you have results in a change request to your web designers, evolving your business is going to be slow and expensive. Your website needs to adapt to your business (not the other way around) and being able to make changes to your website yourself will go a long way towards making this happen. In the early days when you’re low on clients, Facebook likes, income….gazing at your handmade website will give you a burst of personal satisfaction. Plus once you’ve invested that much time and effort in getting your website live, they’ll be no going back - every time you look at it, your website will remind you that you’re a business-builder and you’re in it for the long haul. This is not an exaggeration. Unless you have a lot of motivation and a heckova strong character, a DIY website may break you and your entrepreneurial dreams. Do not attempt this if you are feeling tired, low, insecure or in anyway depleted. This is an endeavor for the bold, brave, and fiercely determined only. This will not be a quick project. It will take time. And that’s time you could be spending elsewhere on your business (or watching Netflix, but ideally working on your business). Before you jump right into the DIY option, weigh up the opportunity cost of your time investment (yeah, I did just go a little corporate). A web designer will think of features and functions you don’t even know you exist. Even if you don’t need them now - you might need them soon. Your web designer will ask you questions you haven’t even dreamed of yet, and from that info will build you a website you can’t picture in your head yet - because visualizing websites is what they do. A little while ago I did a rough survey of people who had used website builder platforms to DIY their site, gathered their feedback, and turned it into this blog post: Best alternatives to Squarespace | The DIY website builders you need to consider. Not included in that round-up, is market newcomer Gator* - a website-builder that comes with SSL, domain, hosting and stock photography options. Leave the designer to get on with your website build, while you concentrate on doing what you do best. When I launched my business, I built my own website because I could, and I wasn’t exactly drowning in client-work at the time. Fast forward a couple of years, and when I needed a new website for a side venture, I hired a web designer. I was capable of building it myself, but I had a crap ton of content that needed to be written, and knowing that my website was being worked on, while I focussed on writing, helped me keep the momentum going. Even if I took a day off, I knew the project was getting closer to completion because the designer was working on my site. Because if you’re not happy you’ll just keep on going. Plus something that may look like a big change to you is often a tiny tweak for an experienced web designer. This isn’t a negative really but is definitely worth a mention. Your project will still involve some input from you, so don’t think you’ll be able to dash off a single email of requirements and wait for your new beauty to arrive. Some input from you will be required. Worst case scenario…..web designer disappears and you have no log-in details to renew your domain name or hosting, you can’t make any changes to your website…. Don’t let that happen to you. If you work with a web designer find out about aftercare BEFORE you pay a deposit. ♦ Amber Phillips Design - The only person on the list I have worked with because Amber created the Ultimate Website Content Planner for me. ♦ Perfected By Alex - Affordable, WordPress websites for small businesses and freelancers who want to get an easy-to-use website. ♦ No Hassle Website - Neta sets you up with the skeleton of a WordPress website, you just need to plug in your text and images. A one-off fixed fee gets you a website plus access to support via her Facebook Group. ♦ Marion Leadbetter is the Glasgow Web Geek, and creator of WordPress websites. ♦ Fiona Wattam builds websites for small businesses on WordPress and Wix over at Online Biz Wiz. ♦ Whitney Lee Kitchur at Betwixt And Between Media offers a range of online marketing services for small business owners and freelancers, including website builds, social media management, photography and content writing. ♦ Buy a website from Lynda Mangoro using the Easy Designer Website package and you'll also get access to the Genie Academy so you know how to use it. ♦ Hannah Kerr at Mott And Mallow offers branding services, website builds and a WordPress Academy for business owners who want to learn how to update their own websites. 7 years ago when I taught myself how to build WordPress websites, all I had to go on was advice from a few kind souls in an Internet forum and YouTube tutorials. ♥ There are ample no-coding website-builders platforms for you to choose from. ♥ There are smart cookies who have created businesses around teaching you how to use them. So with a little financial investment, you can accelerate your learning, get your finished website more quickly AND upskill yourself to be able to make your own changes and updates in future. That’s all the winning right there. ♦ Alice Jennings will help you Build Your Perfect Website. ♦ Toni Martin-Clarke offers one-to-one WordPress training at Defined Digital. ♦ Lisa Rees - Website Wonder Woman - runs Website Wonder Woman VIPs - membership club delivering WordPress training. 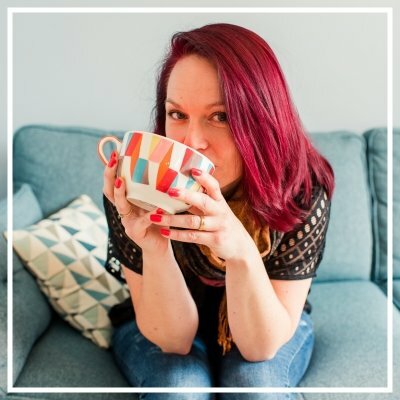 ♦ Kelly Cairns runs The Tech Angel Club which covers WordPress but also so much more including the fiddly tech bits, hooking up to an email marketing service, how to add an income stream by selling information products, making the most of social media and more. ♦ Stephanie La Torre offers a range of WordPress services including setting it up for you, fixing a WordPress website you’ve broken (we've all been there) and coaching you through any changes you need to make. It wasn't my intention to bamboozle you with choice, but to give you an overview of the many options available. By having a good poke around the services presented here you can start to build a picture of what you want and need, and find a service provider most closely aligned with that. You might also find this blog post on 10 Essential Questions To Ask Before Starting Your New Website Build. Need help writing the words for your website? Check out these copywriting courses for entrepreneurs. * Links marked with an asterix are affiliate links. This means that if you buy something from their site, I may be paid a ‘thank you' commission, at no extra cost to you. Deciding whether to hire a web designer or use a website builder to do it yourself is a tough call. This article makes it easier. Plus discover the third option you haven't even considered yet.